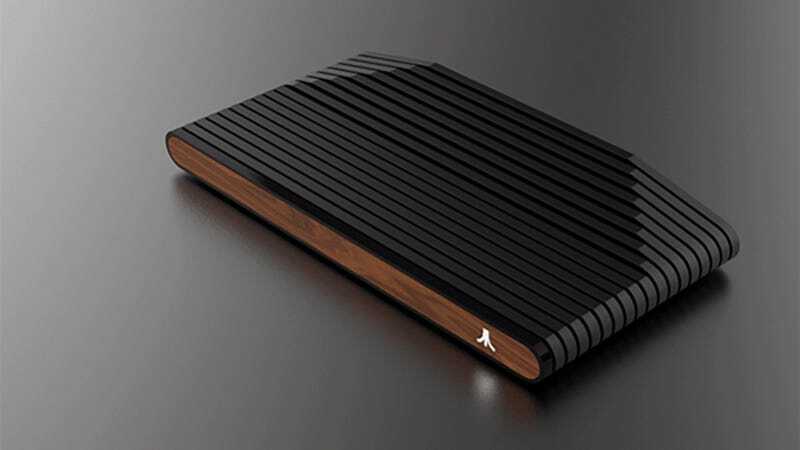 After several delays and a whole lot of confusion, Atari’s retro console/set-top box thing is available for pre-order. We finally have more details on what this thing can do and apparently more people are hyped up about it than we expected. On Wednesday afternoon, Indiegogo was struggling to keep up with the influx of traffic. It’s almost been a year since the Atari VCS was first teased by the holding company that hopes to revitalize the classic gaming brand. In the meantime, we’ve learned that the console is intended to be more ambitious than the kind of budget nostalgia reissues that have been so successful for Nintendo. Since then, Atari started selling a ridiculous speaker hat and announced plans to launch its own cryptocurrency. All the while, the VCS began to look more and more like vaporware. But today’s pre-order campaign insists the company plans to have the console in players’ hands sometime around July of 2019. We already knew the console box looked great, with a sleek yet old school design complete with optional faux wood paneling. We also knew that its hardware was far more than would be needed to emulate old Atari games. The Indiegogo page now elaborates on the details. The VCS runs on the Ubuntu OS (Linux), includes a Radeon R7 processor, a 32 GB hard drive, 4 GB of DDR4 RAM, and expandable storage. It connects to the internet and will support streaming video and online multiplayer games. Voice control is handled by four front-facing mics and two new controllers (one retro, one modern) connect via Bluetooth. As far as games go, Atari isn’t revealing a lot, if you assume they have anything to reveal. 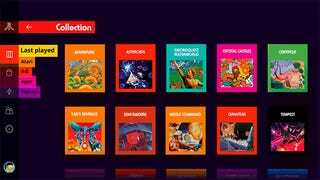 “Atari Vault includes more than 100 all-time classics in their original arcade and/or 2600 formats and is ready to play as soon as you connect your TV,” the company writes. Classics like Pong, Missile Command, and Crystal Castles are shown in promo materials. The new Tempest 4000 is also mentioned as one of many new games that will be available to download or stream but no promises are made on what they’ll cost. Outside of Atari’s own games, the company says it’s building “a growing list of exciting independent development studio partnerships.” But the list of partners it announced today doesn’t really include any standout names. The most generous interpretation is that Atari hopes to pick up more over the next year. Developers are encouraged to submit proposals to have their game included in the online store and Atari will take an unspecified percentage of the sales. As for the console itself, your options are pretty expensive with the wood-paneled model going for $339. Both controllers are included in that package but c’mon, that’s more than a Playstation 4. The cheapest option is the Onyx model with no controllers; that’s available for $199. To be perfectly honest, we’re not feeling any more hopeful about this thing than we were six months ago, but it seems a lot of people are interested. A lot of people were having trouble getting the Indiegogo page to load and the crowdfunding site experienced issues with its payment service. Everything seems to be working fine now, but Atari’s own site appears to be buckling under traffic. At the time of writing, thousands of backers have pledged a little over $1.6 million to the campaign, blowing past its goal of $100,000. The potential for hobbyists to tinker with the box and developers to make anything they want as long as it runs on Linux could mean that this thing turns out to be a lot of fun. But we’re still quite far from having one in our hands and all signs point to Atari trying to bite off more than it can chew.